A parliamentary majority looks to be within reach for centrist French President Emmanuel Macron in next month’s parliamentary election, opinion polls indicated yesterday (18 May), as his cross-partisan government held its first meeting. Macron’s election as president on 7 May smashed a decades-old left-right grip on politics and has left the conservative Republicans (LR) and the Socialists in disarray. But he needs a win for his fledgling party in legislative elections to implement his policies. An OpinionWay/ORPI poll found Macron’s Republic on the Move (REM) set to win 27% of votes in the first round of the National Assembly election on 11 June, ahead of all other parties. It projected that, after the second round on 18 June, Macron’s party would have secured 280-300 of the 535 mainland seats in the lower house. When overseas territories are included, 289 seats are needed for an absolute majority. Two other polls published on Thursday by Harris Interactive had Macron’s party leading with 32%, up three points since 11 May and six points since 7 May. But another survey sounded a cautionary note, finding that only 45% of voters had confidence in Macron and even fewer in Prime Minister Edouard Philippe – the lowest ratings for French leaders starting their terms in over 20 years. Those present at the cabinet meeting, the first since ministers were appointed on Wednesday (17 May), included economy and budget ministers from the right, a TV environmentalist put in charge of ecology and energy, and a veteran Socialist who was defence minister in the last government and is now in charge of Europe and foreign policy. 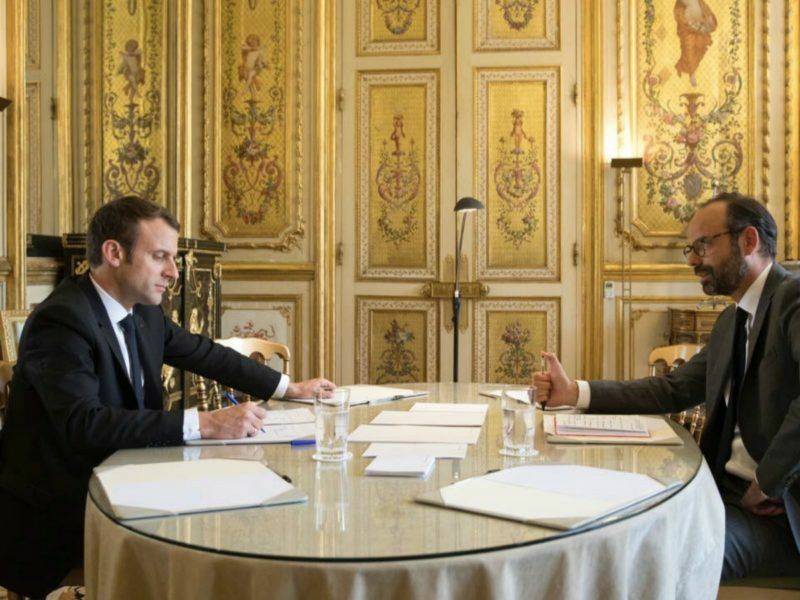 “Having different political backgrounds will not stop us working intelligently for France, this was the first message the president wanted to convey,” government spokesman Christophe Castaner told a news conference. He said labour reform, highly controversial in France, “must be launched very quickly”. Macron’s plans, which he wants to carry out using executive decrees, includes tackling unemployment of 9.6% by making hiring and firing easier. Philippe, a conservative who was de facto excluded from the Republicans for joining the government, told France Inter radio he would campaign to help secure an REM majority. Philippe said that, despite its diversity, the cabinet was built to last, but his assertion is likely to be tested over the coming weeks and months. Several ministers, including Le Maire, have said they will stand in the parliamentary election, and Philippe confirmed that they would have to quit the government if they lost. In addition, the four ministers who have held cabinet positions in the past will have to learn to work closely with colleagues who have come from civil society. 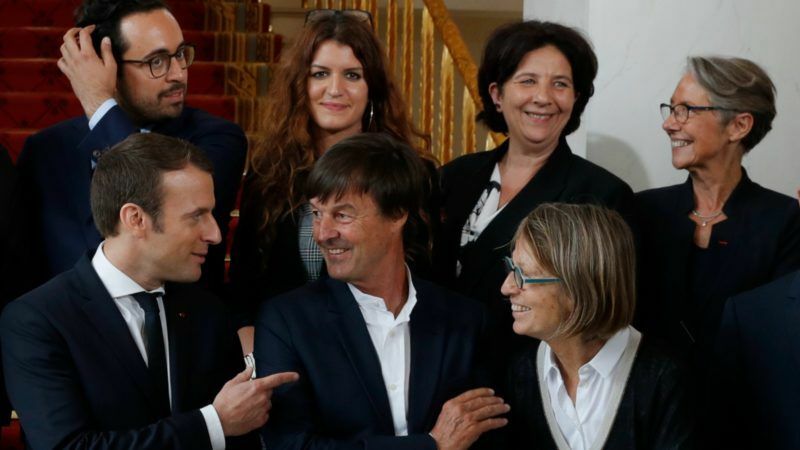 One controversial appointment was that of Nicolas Hulot, a well-known TV environmentalist who has no background as a politician despite having advised several previous governments. News of his appointment on Wednesday sent shares in the dominant state power utility EDF sharply down amid concerns that he might want to force the pace of change in France’s nuclear-dominated energy mix. Macron spoke with Russian President Vladimir Putin by phone on Thursday, and will on Friday travel to visit French troops stationed in Mali.